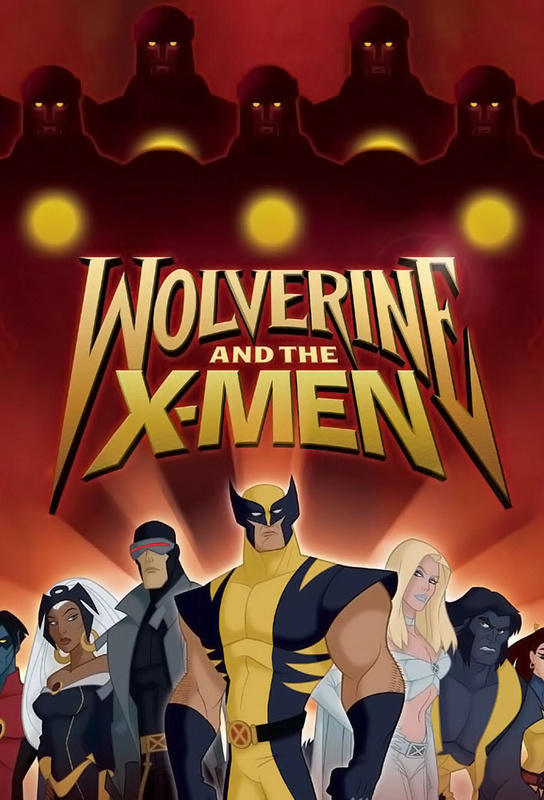 Wolverine and Beast try to reunite the X-Men. They manage to get Iceman, Shadowcat and a resentful Rogue back to the team. Colossus, Angel and Cyclops say no. Meanwhile the Brotherhood of Mutants try to incriminate the X-Men and enlist Rogue as one of their members. Professor Xavier shows Wolverine a destruction of the African Continent. Its revealed Storm destroyed it. Meanwhile the Shadow King takes control over Storms body and shows her the mainland burning, making her believe she needs to save it. Emma Frost ultimately beats the Shadow King. Wolverine rescues Magma from the Mutant Control Unit and uses a inhibitor collar built by Forge to help control her powers. Meanwhile Gambit is hired to steal that collar from the X-Men. Wolverine & Hulk have a rematch after Hulk Vs. In the future, Professor X is captured by the Sentinels. Along with Domino, Bishop, Hellion, Marrow and others, the Professor plans to break free from his captors. The ship Nightcrawler was on arrives in Genosha. There, the Scarlet Witch tours Nightcrawler around so that he can see the wonders Magneto has done. Meanwhile, Mystique breaks into the X-Mansion. Sabretooth attacks Wolverine when he protects Mavericks daughter from a Weapon X agent. Cyclops battles the Marauders to try and find Jean Grey. Tildie Soames, a mutant whose nightmares become a reality, joins the Brotherhood. Meanwhile, Magento uses his Acolytes to break certain mutants out of prison. Wolverine and Mystique fight Maverick and Sabretooth to protect Mavericks daughter Christie. Wolverine discovers some pieces of his past at Weapon X.
Nightcrawler and Scarlet Witch fight Wolverine who is being controlled by Mojo. In the future, Professor X and his X-Men find a lonely mutant named Polaris. To regain his honor, Silver Samurai captures the X-Men and attacks Wolverine. When the M.R.D. creates mutant hunting Sentinels, the X-Men and the Brotherhood team up to take down them, and Master Mold, down. The M.R.D. takes things too far when Angels wings are severly damaged. Offering his help, Mister Sinister transforms Angel into Archangel. When Cyclops visions of Jean Grey get in the way of a battle against Juggernaut, Emma Frost offers to erase all of his memories of Jean. When he accepts, Emma delves in his mind and is shocked by what she sees. In the future, Marrow has developed a strong friendship with the re-programmed sentinel. Information from Professor X suggests that a key event that will lead to the bleak future is imminent: The X Men have to prevent Magnetos helmet from being stolen. Emma is able to locate the missing Jean Grey after Jean, who is stricken with amnesia, uses her powers in a local hospital. Unfortunately, the event doesnt go unnoticed by Sinister who sends Archangel to retrieve her. Can Emma and Scott get to her on time?